Call it drone-doom-dirge-shoegaze or any other in vogue nomenclature you like. It doesn’t matter. The music is so sublime and superb that we consider a waste of time trying to further categorize the spiraling sounds exhaling from a Nadja album. They are simply the true originators of this bred of blissful, seriously intense and ominously ethereal heavy sounds and one the few acts – along with the genius solo work from the duo’s main composer, Aidan Baker – we are truly obsessed with these days. That said, we are more than glad to welcome the Canadian duo to Essence Music with an immense masterwork! 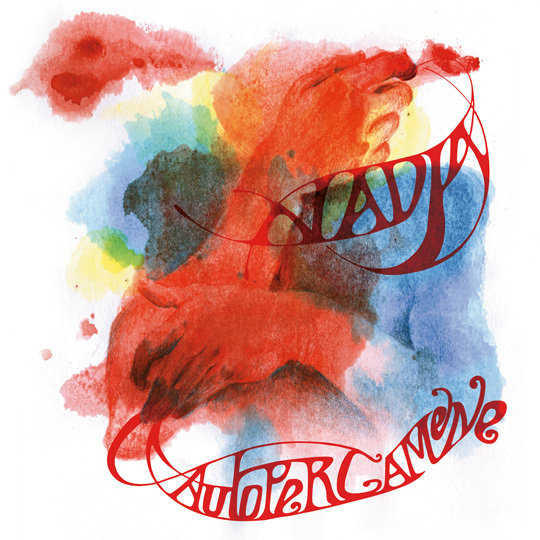 Autopergamene – a spell or charm wherein you write in blood, on a fragment of skin, what you wish to happen – finds Nadja at the peak of their sonic language of slow-blooming, heavily nuanced ambient guitar constructions and slow motion, lush, epic heaviness. Divided in three colossal movements, the album starts with the blissful, paced and almost orchestral – much aided by three guest members on strings and Aidan’s trombone, flute and piano – “You Write Your Name in My Skin”, travels through the straight up, super distorted and fuzzed out rumbling sludge riffages of “You Write Your Name in My Head” and its semi-growling processed vocals to finally unfold the nearly half-hour long “You Write My Name in Your Blood” that gracefully starts with delicate, lush acoustic guitars glacially giving birth to an enormous, shimmering and heavily layered symphonic wall to then submerge and bring in a hazy, sparkling and almost passionate, yet twisted, duetto of Aidan-Leah’s male-female voices. Breathtaking. 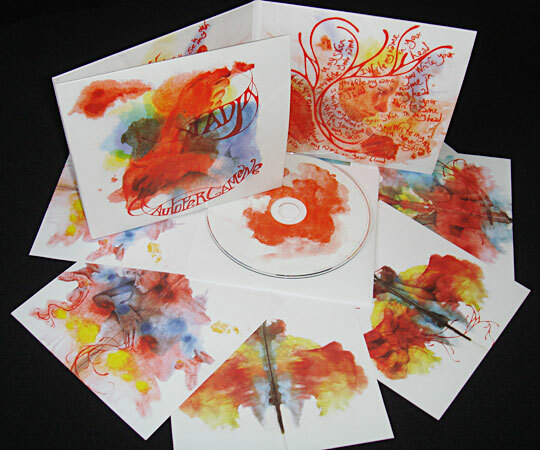 Lavishly assembled in a custom 6-panel digisleeve packaging housing a 6 cards set with beautiful watercolor paintings and artwork by the gifted Portuguese artist L Filipe dos Santos. Superb mastering via James Plotkin. Artwork by L Filipe dos Santos.